Natural timber is an attractive and sought-after material for constructing doors. It is strong and durable, and when well-maintained it can last for over a century. It is a great choice for front and back doors and can also be used for a range of patio door styles both inside and outside your home. At FineLine, we only use responsibly sourced timber in our range of doors. When you choose timber doors from FineLine, you are helping to protect the environment by reducing your carbon footprint. We coat our timber doors with microporous paint which protects the wood and accentuates the natural beauty. 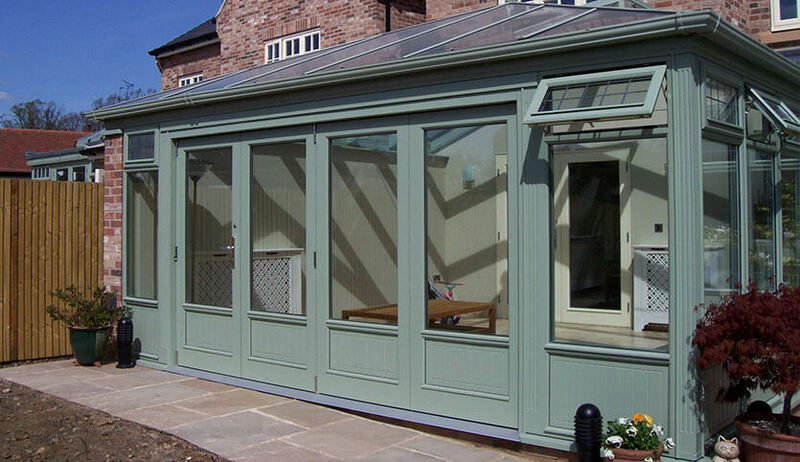 It allows the timber to breathe, greatly improving its life expectancy. When you want to personalise your timber doors, there are lots of options. Choose one of our protective wood stains for a natural look or finish your timber door in any RAL colour. Our timber doors are bespoke designed and can be cut to meet your exact specifications. Timber is naturally insulating. Timber doors create an effective barrier to help eliminate draughts and boost your home’s heat retention. Timber doors are strong and secure. When fitted with multi-point locking systems, they won’t be beaten for home security protection. A new timber door from FineLine will create a feature of any home’s frontage. It will add value to your property and increase your home’s performance. Enhance your home’s character with a traditional timber entrance door. Our timber doors are available in any with a range of protective stain finishes or choose one of over 150 RAL colours. With our ‘Kolor bond’ system, you can customise your door’s colour to perfectly match your home.